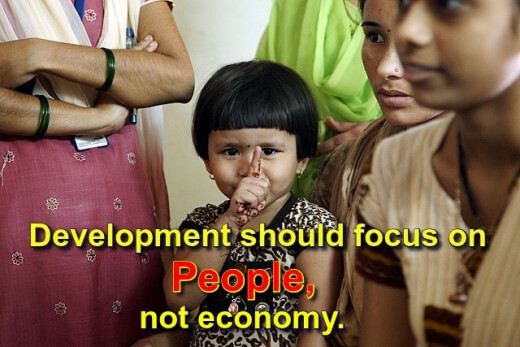 Development should focus on people, not economy. This is how the historic first Human Development Report titled “Concept and Measurement of Human Development” in 1990 opened, outlining the onset of a new thinking on what development should be and how to go about quantifying it. Since then, each annual human development report has touched on a specific theme around “human development” and catalyzed the developmental policies around the world. When development is correctly viewed as an all encompassing development of societies by putting people at the center-stage, fresh new insights develop in the understanding of poverty which can be seen as a lack of well-being (or as ill-being) of people. What comes out is a new perspective of poverty, not possible from the income or monetary vintage points. The most notable impact is that poverty no longer remains neither an economic problem alone, nor income the only solution; the importance of its social, cultural and political dimensions also becomes clear. For example, social exclusion comes into picture because it promotes and sustains poverty, and weak gender of women becomes an issue because it increases their vulnerability to poverty. Such things remain hidden as long as poverty is seen form the monetary perspective. This brings out the multidimensional nature of poverty which enables policymakers to create more effective and realistic anti-poverty policies. ♦ The imbalances in economic growth if allowed to continue will produce a world gargantuan in its excesses and grotesque in its human and economic inequalities. ♦ Development that perpetuates today’s inequality is neither sustainable nor worth sustaining. ♦ Human Development is the END, economic growth a MEANS. ♦ Human development and economic growth should move together, strongly linked. In which society would you prefer to live? ♦ Investing in women’s capabilities and empowering them is the surest way to contribute to overall development. 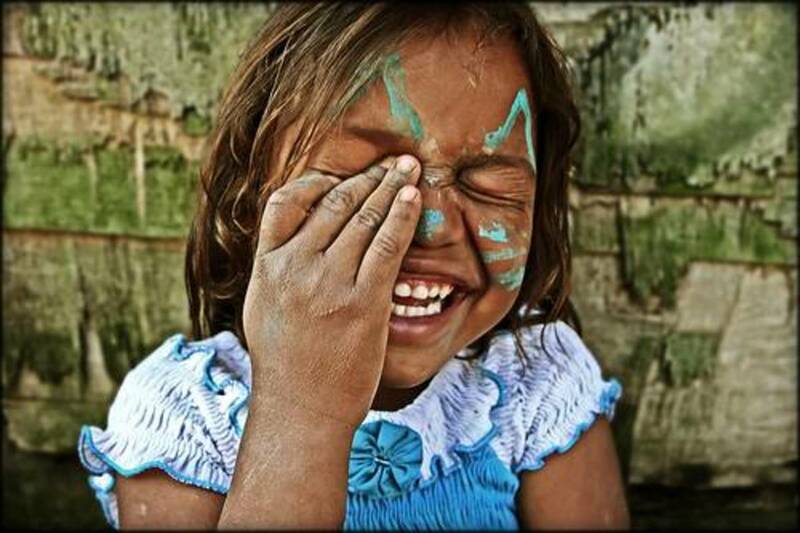 ♦ From the human development perspective, poverty means denial of choices and opportunities for a tolerable life. The 1980s saw emergence of development approaches in the West which equated development with economic growth resulting in top-down market growth strategies. Under the leadership of economists, programs of privatization and deregulation were launched with the assumption that the economic growth would trickle down to the poor and end poverty – and everyone would be happy. However, the idea of economic growth as a universal panacea to solve all social ills proved illusory. Social dynamics and complexity of human lives proved too much to have such a simplistic approach. It resulted in things unacceptable to most rational thinkers. For instance, highly unequal wealth distribution and the oligarchy of the rich few controlling everything; acceptance of entrenched poverty even in rich societies and things like child labor; social exclusion of the weak and poor; neglect of the environment; increasing crimes and weakening of community fabric despite increasing wealth in the societies. As a result, scholars and thinkers began questioning the monetary concept of development and poverty. Researchers started talking about ways to measure human well-being, in terms other-than income or consumption. Many, such as Dr. Mahbub ul Haq, the Pakistani economist who later played a vital role in formulating the human development reports, recognized the need for a better development model. 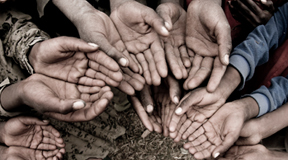 Initially, the basic needs approach (BNA) to poverty dominated the minds of leading development experts like Haq and the World Bank, after it evolved in the International Labor Organization (ILO). The BNA recognizes that the poor need certain basic minimum goods and services such as food, healthcare, shelter, education etc to lead a decent life. The ease of implementation was perhaps its biggest strength. But it was not a complete development model and concentrated only on goods and services – decided by the experts. It left the poor as mere passive spectators. Moreover, the BNA is limited to mere consumption of goods and services; not with the true objective of development which is to lead a decent and fulfilling life. The BNA is also silent about non-poor. Ultimately, it was Amartya Sen who provided a coherent and theoretically sound framework for development through the people-centric capabilities approach. Amartya Sen’s capability approach sees development from a much deeper perspective. It views development as enhancement of people’s potential to be and to do, in terms of people’s capabilities, so that they are enabled to live a long and healthy life, have access to knowledge and a decent standard of living, and participate in the community activities and decisions affecting their lives. It considers income and commodities as important means, but remains focused on people’s capabilities and the freedom to lead life they value. It is relevant to rich as well as poor societies – a big advantage over the BNA. Sen’s theory and others working on the similar theme provided the conceptual foundation for an alternative and broader human development approach. The capability approach challenges the popular commodity based understanding of poverty and discards the measurement of poverty based solely on income. It does not see people as mere tools (means) of development (seen as economic growth); they are the “target” of development. It is comprehensive and recognizes the important role of economic growth and technology along with many other factors which are social, political and environmental but only as means towards expansion of people’s capabilities – the real development. The human development is concerned with enhancing people’s choices and freedoms in order to make them more capable so that they can lead a long, healthy and creative life enjoying a decent standard of living, dignity, self-respect and respect for others. In this context, poverty must mean denial of opportunity to lead such a life. It is a situation that that deprives people of basic capabilities that are essential for people to live with some minimum well-being in the society. For example, absence of economic infrastructure; social discriminations, whether based on class, gender, race, religion or region; inability to access public services of say, healthcare, educational or banking, for whatever reason; hunger and poverty; inability to participate in economic, social and political activities and processes for whatever reasons; and so on. All such factors restrict the development (of people) and cause or sustain poverty. Thus, the human development model will address issues like social exclusion that denies the poor voice and participation in social and political processes, gender inequality that limits the freedoms of the weaker gender, all forms of discrimination because they limit participation and freedom of people, and so on. From the policymakers’ perspective, the poverty of choices and opportunities is often more relevant than the poverty of income, because it leads directly to strategies of empowerment and other actions that enhance opportunities for everyone. "Development" should revolve around People; not around GDP growth only. Mahbub ul Haq, and his team consisting of BNA and capabilities thinkers, is credited for putting Sen’s ideas into practice in the human development approach. He also created the configuration of the Human Development Index (HDI) as an alternate measure of progress, within the UN Development Program’s annual Human Development Reports. It was a major shift away from the usual income or economic growth (GDP) considerations of the World Bank’s annual World Development Reports (HDRs). The HDI combines measures of life expectancy, literacy and command over the resources to enjoy a decent standard of living. The annual HDRs published since 1990 have considerably enriched the understanding of development from the perspective of enhancing human capabilities and freedom through the yardstick of the HDI. When countries are ranked on their HDI score, an entirely different picture of the world emerges – repeatedly underscoring the fact that high national income does not necessarily enhance the wellbeing of people. These reports have had a profound impact on development policies around the world. By now policymakers around the world have come to recognize that good human development involves inclusive economic growth, equitable distribution of income and well targeted social expenditures. It has also emerged that empowering girls and women through education and participation is perhaps the most effective social development tool. The HDI, as constituted, is in no way the only index possible. Sen has remarked – the idea of human development goes well beyond the HDI. The HD approach framework, while underscoring the shortcomings of income and basic needs approaches, brings out a multidimensional picture of poverty as well as of development. Most importantly, it goes beyond monetary and consumption based assessment of poverty and focuses on participation and empowerment – in order to eliminate exclusion and marginalization of the poor and to give them the opportunities to be heard and freedom of choices. It also goes beyond physical conditions or possessions to institutional and political elements. 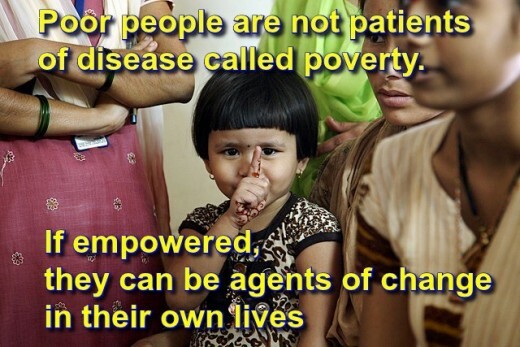 Most importantly, the poor are not seen as patients diagnosed with a disease called poverty; they are seen as active agents of change in their own lives. The very idea of the HDI also gave rise to other indexes: gender related development index, gender empowerment measure, human poverty index which in 2010 gave way to an elaborate multidimensional poverty index. Although the idea of people development has been around since Aristotle, the efforts to introduce the human development approach should be seen as a course correction so that people become the focus of development – through expansion of their freedom and capabilities. It provides a blueprint for enriching human life – as opposed to enriching economy – of the current generation without jeopardizing the well-being of the future generation through advancing inclusiveness, fairness and justice in the world. The HDI may tell us a little more about the human quality of life than does the GDP, but assessing the quality of life is a much more complex exercise than what can be captured through only one number. Nor can it be left to the experts and their math skills. But it certainly makes sense to say that people should be the end of development, not economy which is just a mean, at best an important mean. The first Human Development Report (HDR) was launched in 1990 with the single goal of putting people back at the center of the development process in terms of economic debate, policy and advocacy. The human development approach, based on the interdisciplinary capability frameworks, has become one of the prevailing approaches in understanding, evaluating and measuring poverty. A rights-based approach to development is outlined. Will China Stumble into the Middle-income Trap? I suppose its all about creating the enabling environment capable of making the people expand their choices and to lead a fulfilling life. If life is best defined as a journey in guise of choices, then it becomes the onus of those in power to prioritize the human family in their policies- empowering them to be able to fit in well into their respective society be it high-tech ones or the developing ones, rather than just building things that wont change those cosigned at the margin of their society. Any activity that does not bring peace, harmony and satisfaction in people's life is anti-development. And people are not brainless morons who know nothing beyond, eating and consuming. They have creativity, inherent ability to evolve into superior human being through spirituality, they are capable of being compassionate and cooperating, they have the capacity to turn this Planet into a paradise where everyone leads a fulfilling life, and so on. Development is not mere creating more roads, highways, airports and weapons ignoring health of the environment and ecology and living in concrete jungles called cities. Development is enhancement of people's quality of life so that they live peacefully with the feelings of security, and contentment and with a sense connected-ness with others. It is anti-development if you are so stressed due to fears, insecurity and indignity that you can't sleep without pills or are always worried about maintaining your physical and emotional health. There is no happiness if you are led to slave your sense organs and remain ever-greedy for more, no matter how much you have. I fail to understand what people in the 'develop' nations are developing in the name of GDP growth. Should people slave the economy and technology or become masters of their own lives with development? I wonder why people don't ask such questions. What an intellectually redefining approach to understanding the crisis humanity faces today. The inability to put the obvious truth- degrowth and sustainable living into practice is man's greatest political nightmare now. Thanks Pradeep, for reading and sharing. We have been wrongly brainwashed into thinking that "economic growth" alone is development. Measured in GDP terms it is simply an account of total production and services. Many things like wars, crimes etc add to GDP but they don't make people's life good. Human life, anyway, can't be measured in money terms. It is plain silly. People are supreme, not GDP, nor technology. These are merely tools to enhance human well-being. Finally, what good is "progress" if its ruins the global climate system and puts people's life in trouble. It is merely an illusion of progress. Thanks Au Fait, for sharing. People are the real wealth and should be considered so in any society or country. But I am more pained than amused to see leaders lost talking about "growth" and "GDP" only. None of these terms can measure "people and their well-being" or even related to them. Let me know when you find someone who puts people and their well-being. If people are the "real wealth" why are we degrading the wealth by making them stressed-out at jobs, forcing them to slave low paid jobs just for survival and wasting them in addictions, crimes and wars. The reality is: People have been made just tools for endless economic expansion; they are very much dispensable and disposable. We need to put people and their well-being back at the center of focus, replacing "economic growth" and "profit maximization." There is much more to human life than mere money, consumption and economics. You are so right in that developing people will lead to a population that can support itself and by so doing, create a living economy with infinite growth possibilities. When everyone is included and no one is allowed to be forgotten or left behind, more opportunities, not fewer, are created. I have said for years, that when even one person improves their situation, we are all better off for it. When even one person is left behind, we are all poorer because of it. People are the true wealth with ideas and knowledge that will keep societies improving as time goes on. Ideas often require education to be born and to flourish. When everyone is allowed and encouraged to contribute through the availability of education and full development of their talents, everyone benefits. 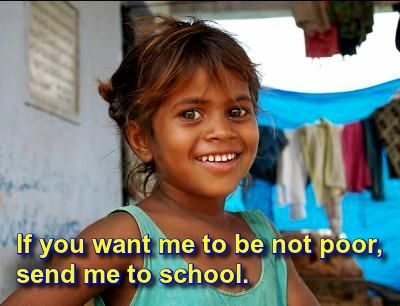 Making education and skills learning difficult to obtain is one of many things that contributes to poverty. Good medical care and nutrition, decent housing, and education, are necessary for a person to develop themselves to their fullest. When the environment for encouraging human development is created, good things are put in motion that can pull people out of poverty and turn them into contributing, tax paying citizens. Pinned to my 'Helping People in Need' board on Pinterest. Voted up and awesome! Thanks Tranquilheart and Doodlehead for sharing. 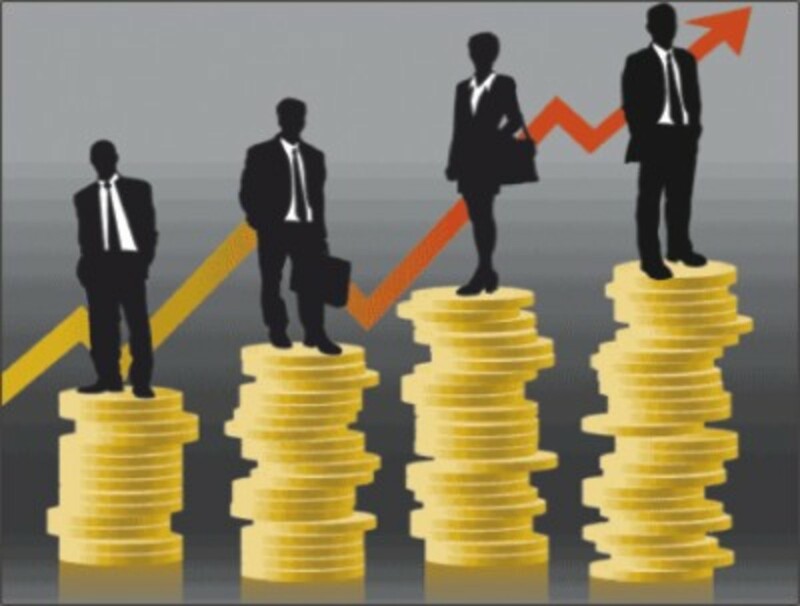 What good is the wealth if it is limited in few hands and a majority of the people has to do odd jobs to survive, or if the jobs are temporary, or get hired only to be fired anytime? My logical mind want to ask a question: If the US is really so developed, why 15 percent people live in poverty? Why so much drug abuse and crime? Why children are increasingly growing up raised by a single parent? Why no one ever seem assured of his/her job? What happened to all the family culture? The real question no one asks is: Are people mere robotic tools to grow the economy which is still measured by GDP numbers? I want someone to convince me why trillion dollar invasions of some far off countries are more important than looking after kids in the own backyard who are vulnerable to all forms of abuse and addiction? I also want to know who should be tried in the international court for having 2 million orphans in Iraq or innocents being regularly killed by Drone strikes? The rich and powerful are as ever too busy protecting their vested interests. It is for the ordinary mortals like you and me to try discovering words like "sanity", "justice" and "fairness" from the Dictionaries, before they are lost for ever. I agree. And Canada is constantly battling against this type of 'development'. Development is what is needed in the USA as within a short time period we will be under the dictatorship right here in this country. Following the Constitution is what is needed. As for development, people need to be given the awareness that they can support themselves and remain free from tyrannical governments.